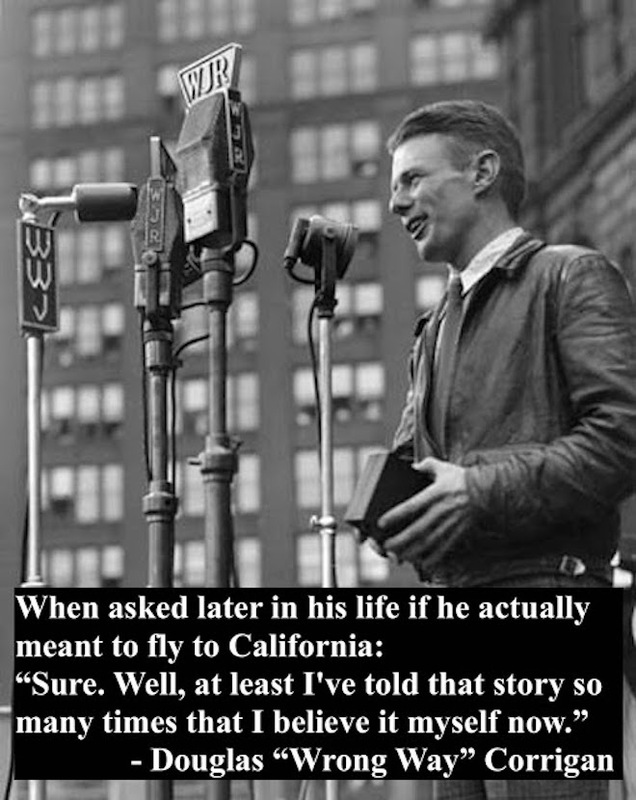 When a pilot flew to Ireland instead of California by mistake. 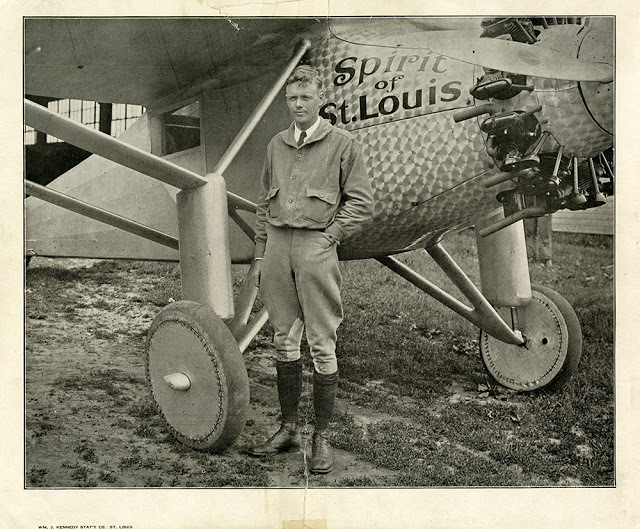 Douglas Corrigan was an aircraft mechanic who worked on Lindbergh’s Spirit of St. Louis. In 1938, Corrigan piloted a rebuilt, single-engine, "rattletrap" from California to New York intending to fly across the Atlantic. Concerned by the state of his airplane, aviation authorities denied the flight but agreed to let him return to California. 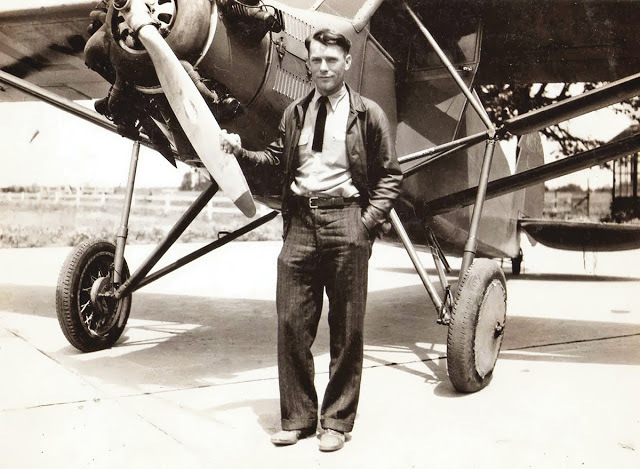 Corrigan took off and twenty-eight hours later, he landed in Dublin, Ireland. Claiming he got lost, the authorities suspended his license. 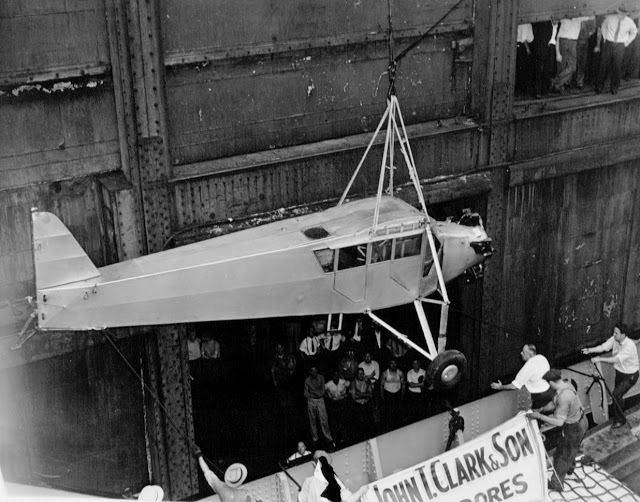 "Wrong Way" Corrigan and his plane returned to New York by ship. Douglas "Wrong Way" Corrigan speaking at a ticker tape parade, thrown in his honor when he returned, by ship, to New York. Corrigan stuck to his story of poor navigation and became a celebrity on both sides of the pond. His license was reinstated.